Where has Jon Logan Gone? Jon Logan died on May 17, 2012. He died of cancer. He was only 51 years old. But I still do not understand: Where did Jon Logan go? Today at the Jon Logan Memorial Triathlon I learned where he went. I am not a particularly religious person. I have read, with reverence, some from the Bible, the Koran, The Tao de Ching. I went to catichism. Religions offer inspiration and comfort. I admire those who follow them and I look to them for guidance too. 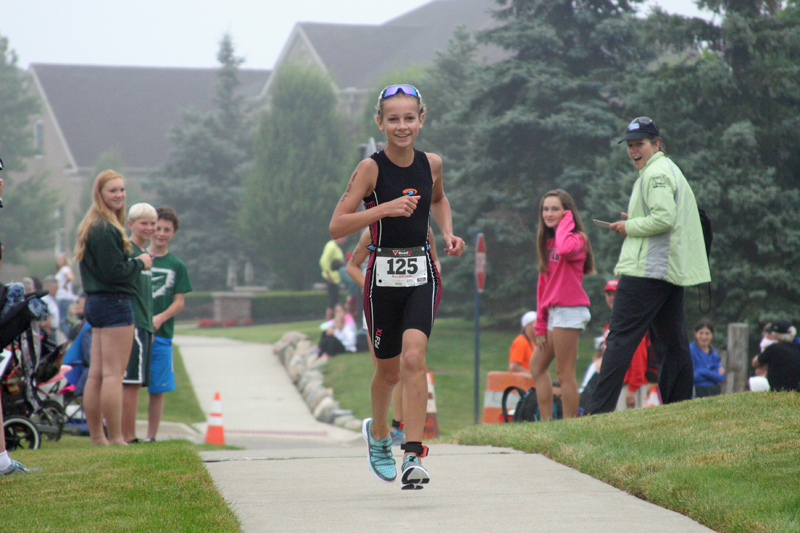 People came to the Jon Logan Memorial Triathlon in Novi, Michigan in much the same way they go to any triathlon, and a little like some go to church. They wore special gear with sponsors’ logos. First time triathletes came with doubtful expressions and simple gear. Then it became apparent this race was very different. The setting was beautiful. A wonderful neighborhood of proud mansions with stately lawns, carefully trimmed and lushly landscaped. The sun rose a frosty haze through light mist. Giant freshwater birds put on a quiet airshow as athletes and volunteers arrived. People smiled, shook hands and hugged. The usual competitive silence before a triathlon was gone. Instead, there was fond celebration of friends and acquaintances. There was reverence for our tight knit community and a beautiful sport. Then people lined up by the lake and got ready to race. Nothing stopped Jon Logan. Nothing. 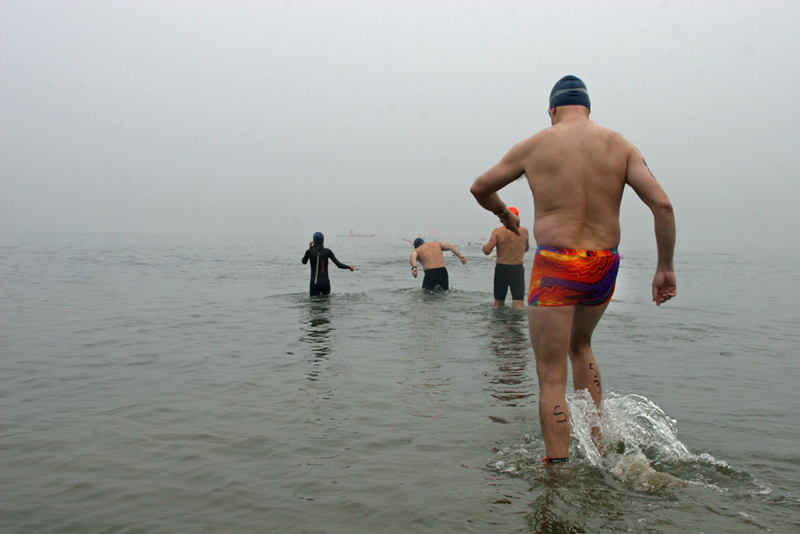 He did an Ironman with a broken collar bone, swimming with one arm. It was Lake Placid. With his wife Sandy, he raced Ironmans around the world, ticking off finishes with an effortless ease and a broad smile that made it look… fun. Then he would come back, inspire friends, mentor beginners, volunteer to help, and do the whole thing all over again. Out in the fog, the strength, humility and courage of Jon Logan beckoned. Jon would have swam. So people got in line. Announcements were made. Timing mats were set. Sandy Logan shared a prayer, and the athletes did what Jon would do. They raced. At the front of the race the best athletes in the Midwest tore away at each other for the win like hyenas on a kill. Fernando, DeCook, Krzyzanowski. Same for the women. In the middle and at the back of the race people learned the sport and were baptized as triathletes for the first time. Triathlon veterans went to the competitive altar to receive their sweaty communion on another racing Sunday. They did, what Jon Logan did. And while Jon Logan passed away some time ago, he was, very tangibly, there today. More importantly, Jon went home with everyone who raced today. For young athletes who never met Jon Logan in person, they know him now. They go forward inspired by his character and reverence for life, made stronger by his example. They know Jon Logan now. Now I know exactly where Jon Logan went, he went to a new start line. We were glad to join him again today as his character and drive live on in the athletes who raced in his name and memory. Jon would have raced, so that is exactly what everyone did today.